Rugosa rose. Heavily veined healthy and glossy, leathery light green leaves with scented, double purple flowers that repeat well through summer. Height and spread to 1.8m x 1.5m. 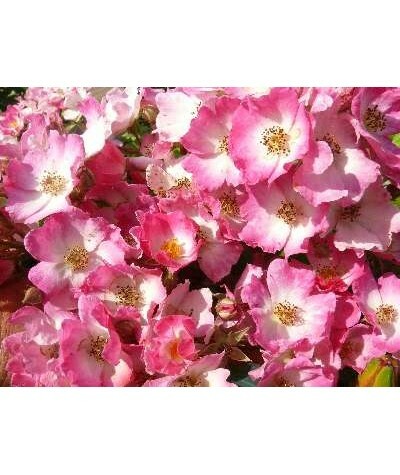 Rounded habi..
Floribunda rose with clusters of semi- double satin pink to white flowers produced above dark green leaves. Beautifully scented. Repeat flowers through summer so long as you dead head as required. .. Climbing patio rose with semi-double vermillion orange flowers and arching stems of dark green leaves. Starts flowering in June and repeats continuously until October. Thorny stems and good disease.. Hybrid Tea rose with dark green leaves and lemon scented, double, silvery lilac flowers. Dead head to ensure repeat flowering through the summer. 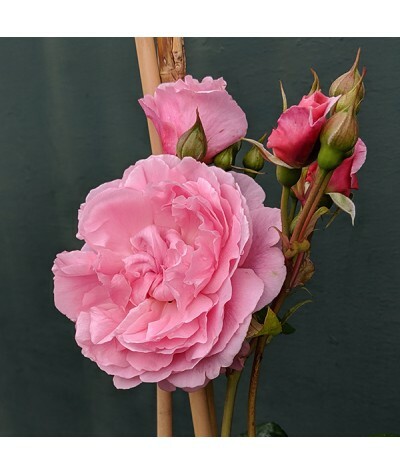 A truly unique colour and deservedly popular being ..
Shrub rose moyesii hybrid. Single, claret red flowers in June followed by glossy red bottle shaped hips. Height and spread to around 2.5m x 1.2. Any soil in sun. Beautiful vase shaped, arching habi.. Hybrid Tea rose with sweetly scented large and beautifully formed double white flowers that open from green tinged buds. Good repeat flowers all summer that are great for picking and deep green hea..
English rose. Flowers perfectly formed cup shaped and light peach pink in colour with a delicious fruity Tea fragrance. 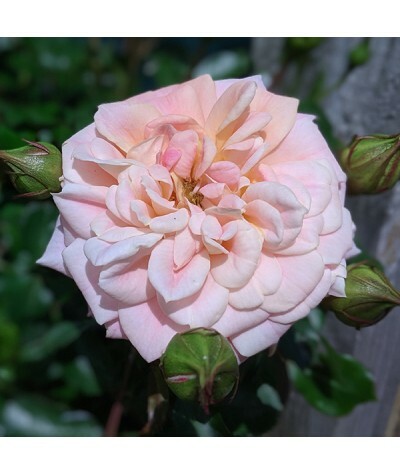 A vigorous climber which repeats through the summer. 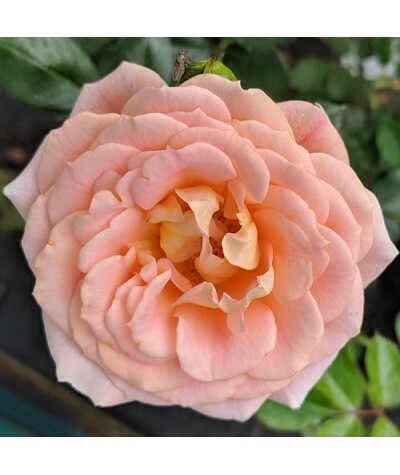 Height and spread ..
Floribunda rose with large peachy apricot flowers that are multi headed and fade to a soft pink. Repeats well throughout the summer provided regular deadheading is carried out. Height and spread to..
Rose of the year 2010. 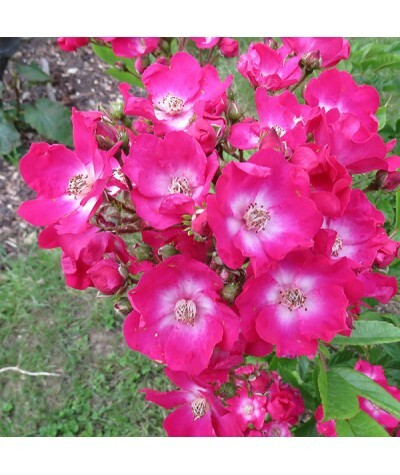 Floribunda rose that flowers from June right through to the first frosts. Blooms are strongly scented, primrose yellow with many flowers per stem. Repeats well and has gl.. Vigorous climbing rose. Thorny green stems support reddish pink flowers with white centres produced late spring through summer. 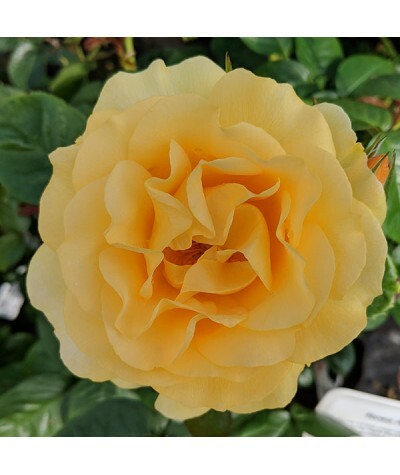 ..
Popular AGM holding floribunda rose with well formed, fragrant double yellow flowers, that fade to cream as they age. Flowers contrast well against the deep green foliage. 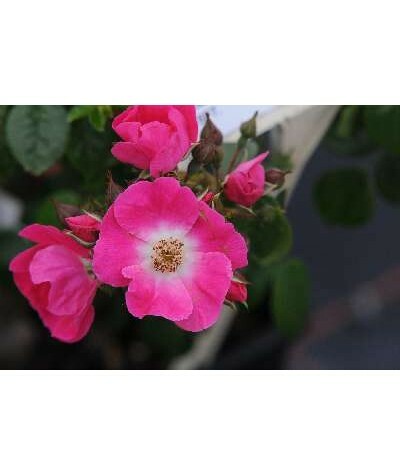 Height and sprea..
Polyantha shrub rose growing to about 1m x 60cm. Mid-green leaves and large clusters of small, mildly scented single pink flowers with paler centres from late June to September. 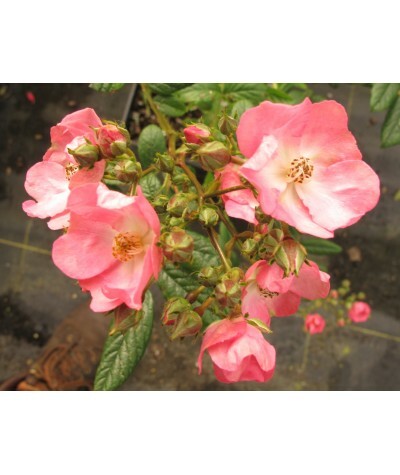 Keep regularly dead..
A lovely vigorous shrub which grows up to 4ft. 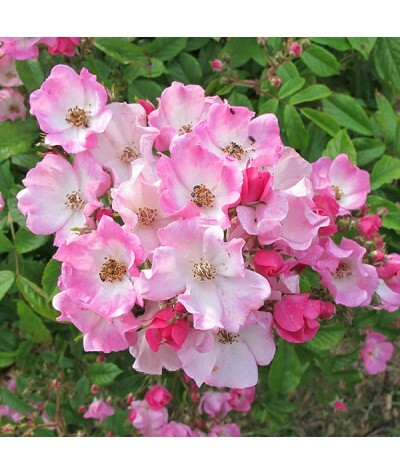 With large bunches of small, scented, single pink flowers throughout Summer and into Autumn. A delightful, showy shrub. .. Double White Banksian Rose. A delicately scented, climbing rose with pale green leaves. Pretty double, white flowers produced in late spring. Height and spread to around 5m. ..